This SAR image from the southern portion of Navka (24.4-25.3 degrees south latitude, 338.5-340.5 degrees east longitude) is a mosaic of twelve Magellan orbits that covers 180 kilometers (108 miles) in width and 78 kilometers (47 miles) in length. 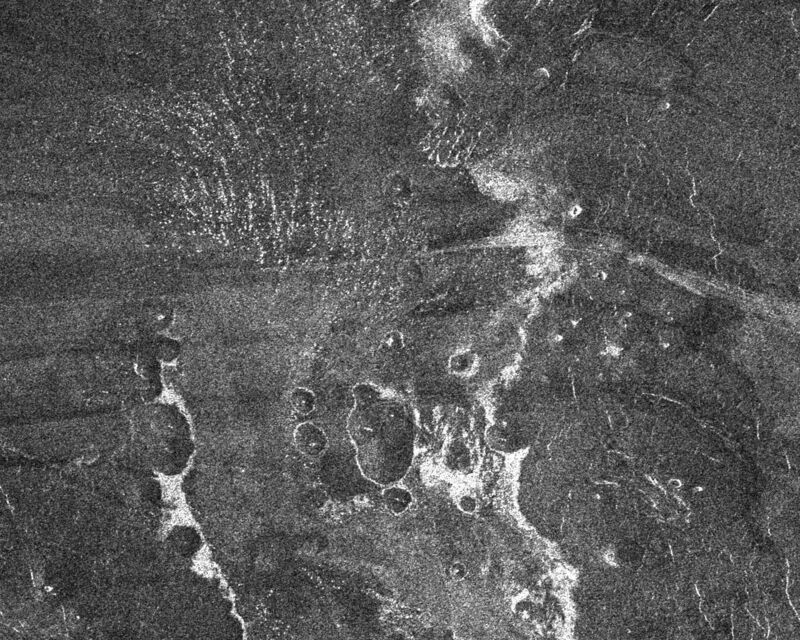 In the center of this image are two bright deposits running north to south. These deposits outline an outflow channel that flowed from a 60-km diameter crater that is to the south of the channel. Inside the outflow channel and outlined by 'bathtub ring' deposits are small cones, most likely of volcanic origin. At the end of the outflow channel, where one would expect the smallest particles to be deposited, are specular features which may represent sand dunes. 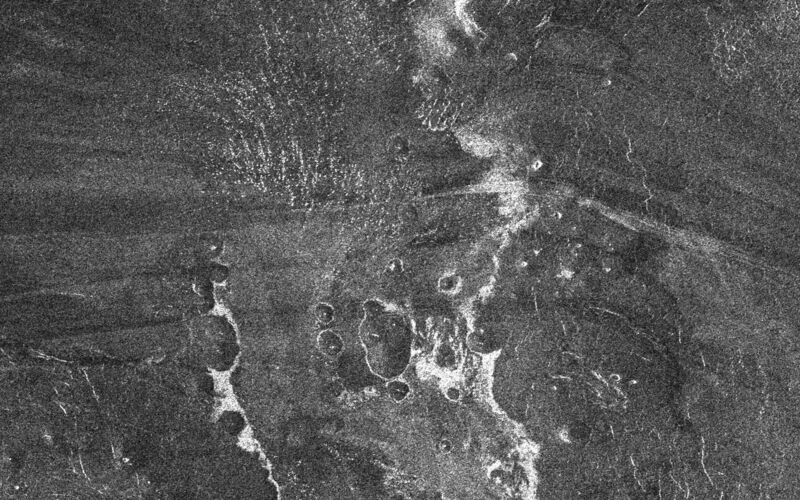 Seasat and space shuttle radar images of sand dunes on Earth also show specular reflections from smooth dune faces that are near-normal to the radar beam. Other evidence for aeolian activity are the dark and bright windstreaks running east to west that form behind cones. Notice how the wind changes direction from a southeast-northwest flow at the right of the image to an east-west flow at the eastern edge of the outflow channel.